Join us for our Annual Winter Wonderland on December 6 & 7. ​Friday, ​December 6 and Saturday, December 7. Friday, the event will start at 5:00 p.m. with City Officials, Caroling, Santa's Arrival on a fire truck and the lighting of the Christmas Tree. ​​Train Rides by the Great Lake Lives Steamers will take you through a Winter Wonderland of lights and sparkles, donations cheerfully accepted. 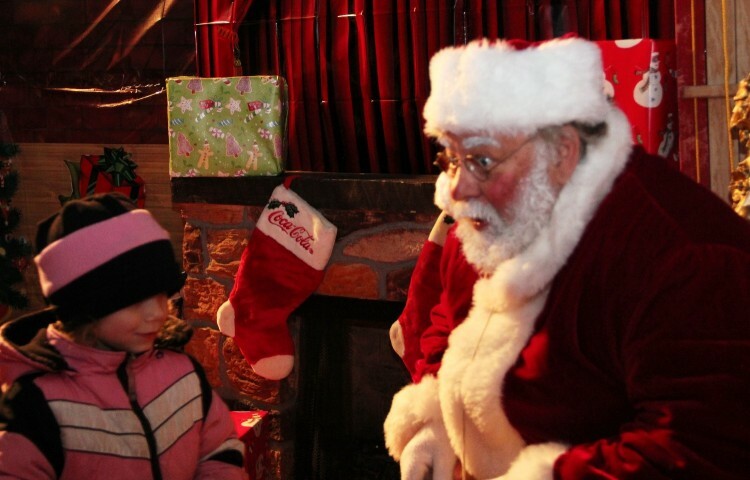 Rides will begin both days at 6:00 p.m. and end at 9:00 p.m. and will feature a short ride to the North Pole and a visit with Santa. Bring your cameras for some great pictures. December 6 & 7, 2019 the city events start at 5 PM. ​The train rides operate from 6 PM to 9 PM on both days. The Great Lakes Live Steamers would like to thank everyone that braved the cold weather and long line to make our 8th annual Santa Train Express a success. We would like to wish everyone a Merry Christmas, Happy Holidays and a Happy New Year. We hope to see everyone in May, 2019.